As NVIDIA prepares to release its quad core processor, meaning a NVIDIA quad-core tablet, it is prospering financially. Yesterday, Jen-Hsun Huang, NVIDIA CEO sat down with reporters and stated that he sees his company earning between $4.7 and $5 billion in revenue during the 2013 fiscal year. Additionally he expects revenue from its mobile chip unit to grow tenfold by 2015. Huang did note that future revenue may be influenced by current battles over patents but does not see it as a major factor in the short term. Additionally, he foresees that the number of devises needing chips raising from its current level of 100 million to one billion in the near future. According to Huang, NVIDIA is hard at work developing its quad-core mobile processor which he claims should be in tablets later this year. Additionally, he likes NVIDIA’s position in the processing market and states that Qualcomm is their only serious competitor. Another development we may see is a wireless enabled Snapdragon like processor. 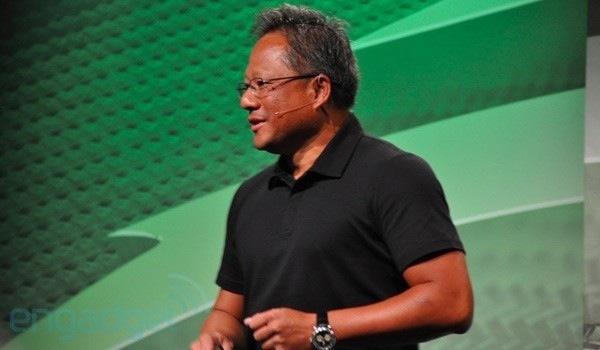 Though Huang continues to admire GPUs and believes that the need for graphics will remain steady. He hit on the fact that Windows 8 will support Windows 7 apps with the possibility of Microsoft’s Silverlight platform playing a key role in cloud processing.